Some years ago when I first got my drawing tablet, I did a few pictures of my original TLK character Mau Mau (birthname Jelani), but with lighter fur. I decided to make her look more like Scar this time around, and I really love the look of her. 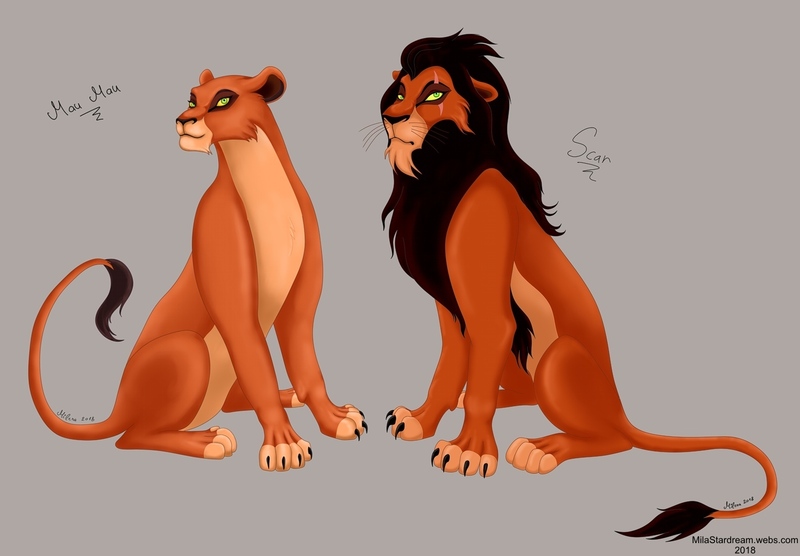 I used to draw Lion King style all the time as a kid. I didn't use any reference for Mau Mau, other than Scar himself. Done on the 30th of March 2018.